Obviously, this is minor league baseball’s attempt to sell more merchandise. (They are always trying to sell more merchandise.) 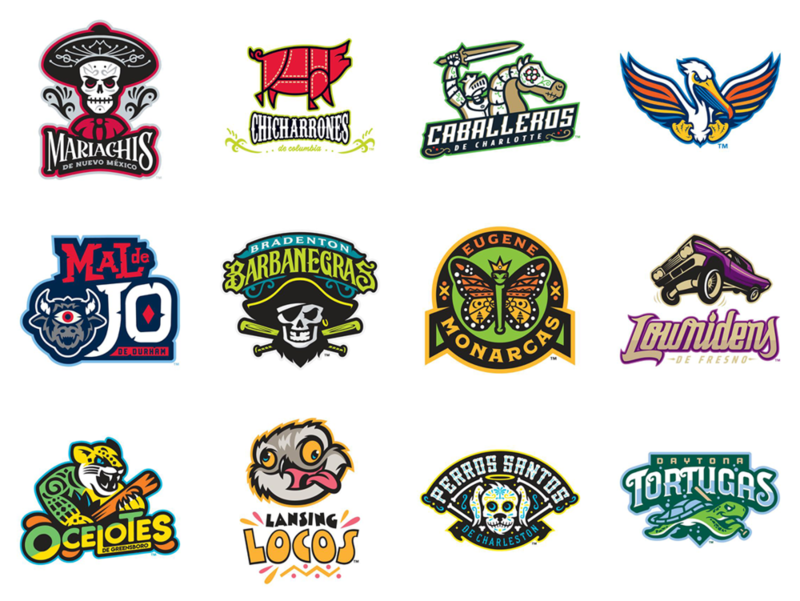 Minor league designers often have fun with logos and I love how playful these redesigns are. Some are better than others, but they look really great on hats and shirts and if you see a logo you like, you can order some merch online. As for me, I left the game this weekend with a Chicharrones de Columbia hat. Yes, it’s a pig.